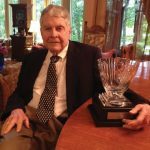 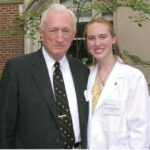 James Hamilton, M.D., ‘46, BA ‘43, FAC ‘04, died May 9. 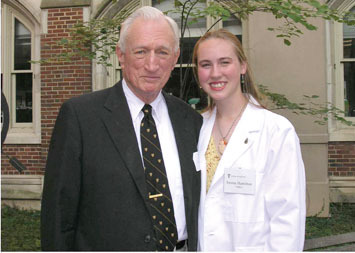 He is shown here at the White Coat ceremony for his granddaughter, Emma Hamilton, M.D., ‘10. 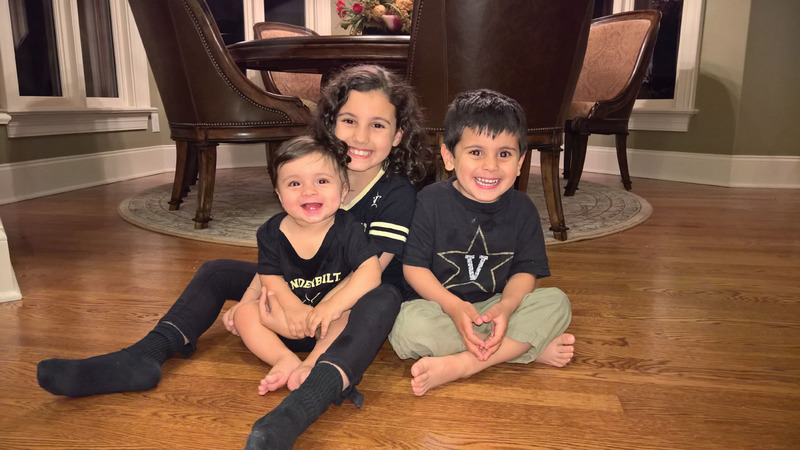 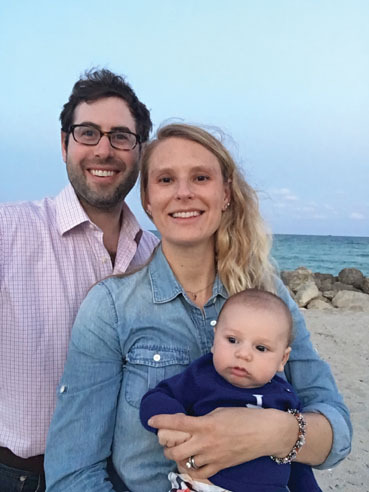 David Leiman, M.D., ‘09, and Erin Leiman, M.D., ‘08, recently celebrated the birth of their son, Zev Mayer. 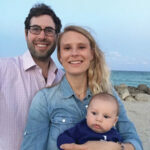 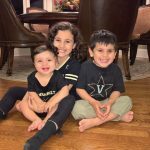 Sovana Moore, M.D., ‘00, HS ‘01, BS ‘96, and her husband, Steve Moore, BS ‘96, welcomed their third child, Sloan, who joins big sister Shelby and big brother Austin. 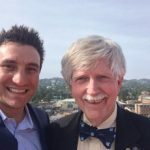 John Cobb, M.D., ‘78, and friends climbed Mt. 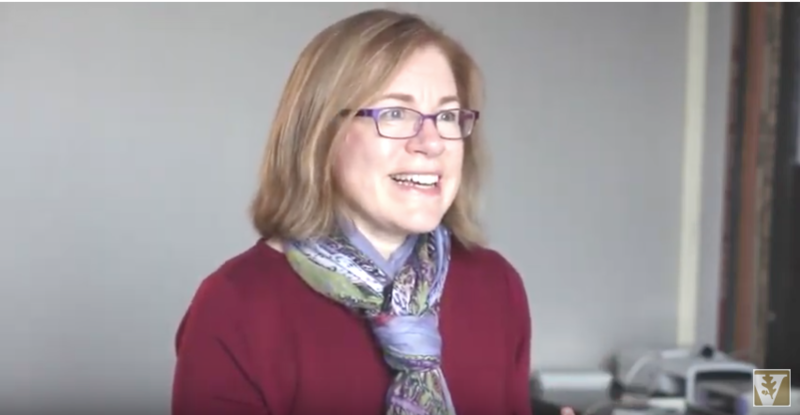 Washington in January where there were 90 mph wind gusts at the summit. 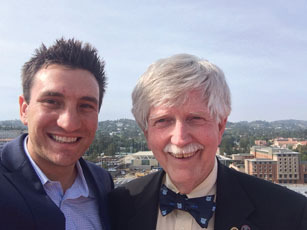 Aaron Dawes, M.D., ‘11, left, caught up with John Tarpley, M.D., ‘70, at UCLA. 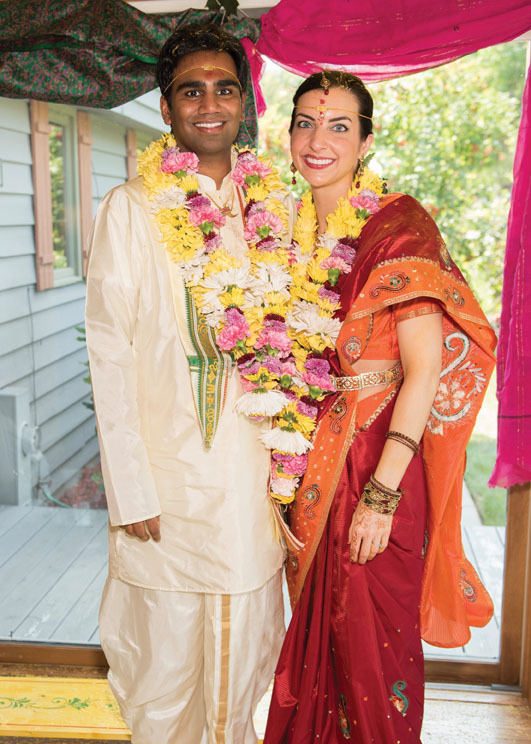 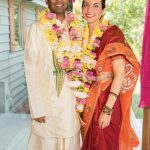 Tiffany Ballard, M.D., ‘10, married Rajesh Rao, M.D., in September 2015. 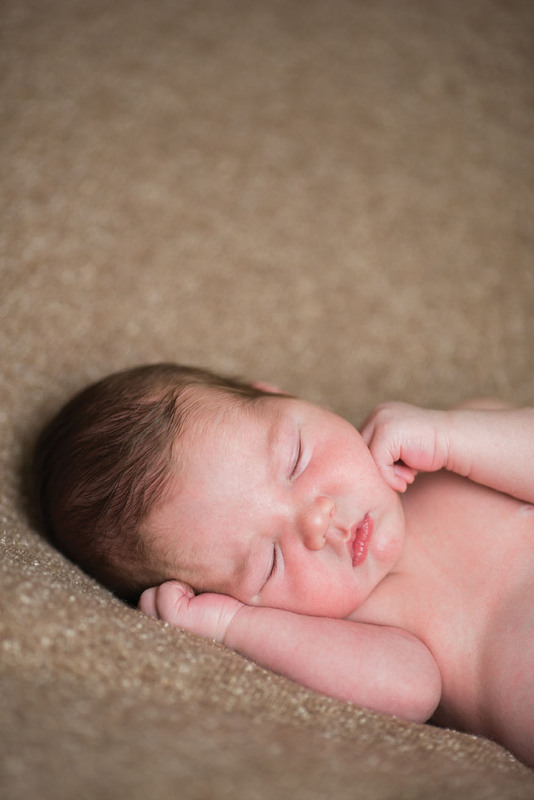 Jessica Wilson, M.D., ‘11, MSci, ‘16, FE, BS ‘07, and Robert Wilson II, M.D., ‘11, HS ‘16, FE, welcomed a son, Robert Jewell Wilson III. 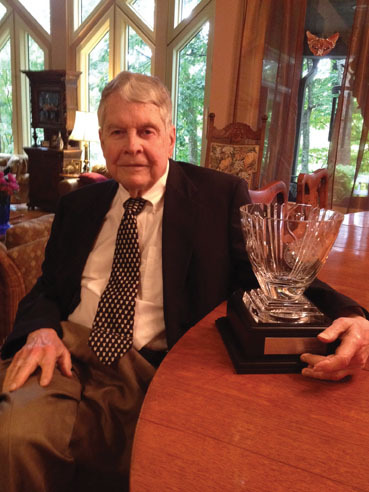 Richard Lester, M.D., ‘53, HS ‘54, BA ‘50, was awarded the Samuel Buford Word Award at the Alabama Medical Association meeting. 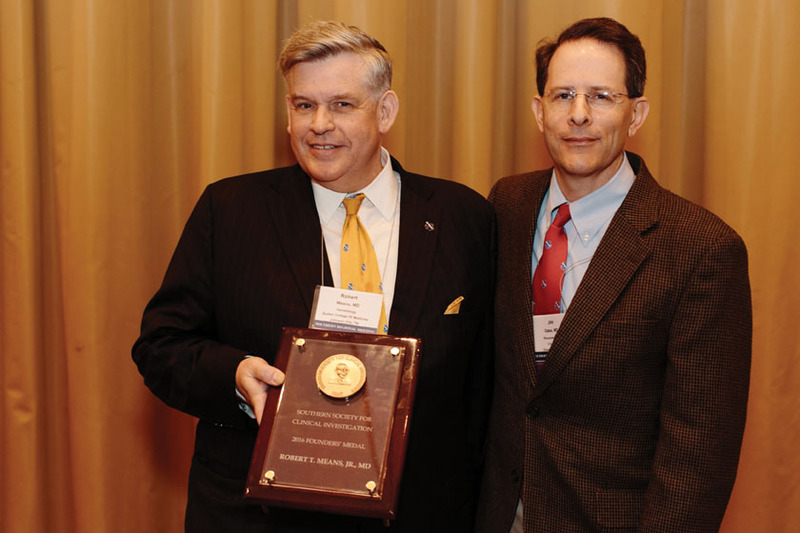 Robert Means, M.D., ‘83, left, was awarded the Southern Society of Clinical Investigation’s Founders Medal. 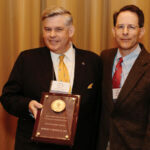 He is pictured with SSCI member James Oates, M.D. 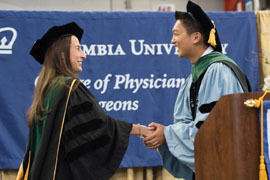 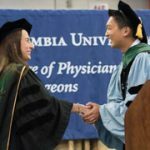 Rachel Gordon, M.D., ‘00, received the Distinguished Teacher of the Year Award from the Columbia College of Physicians and Surgeons Class of 2016 at Columbia University.